Good quality dental care is critical in taking proper care of your health. From facilitating quality digestion to allowing you to speak clearly, your teeth and mouth play an important role in your overall health and wellbeing. Learn more about the risks of missing teeth. According to data reported in Australia’s Oral Health Tracker by the Australian Dental Association (ADA) in 2013, 15.5% of adults have fewer than 21 teeth. When examining the issue of inadequate dentition in Australia, the ADA found that the risk of tooth loss increases as individuals get older. Almost 40% of adults aged 55 or older reported fewer than 21 teeth compared to less than 1% of 18 to 34-year olds. The ADA reported an association between missing teeth and a number of chronic diseases, including diabetes, stroke, cancer and rheumatoid arthritis. Impacting quality of life, the ADA also reported a link between missing teeth and a poor diet and issues chewing – potentially increasing the likelihood of an individual developing a chronic disease. A missing tooth can change your ability to eat certain foods, resulting in a diet and lifestyle adjustment. Missing back teeth may mean you struggle to eat chewy foods like meat, while lost front teeth may impact your ability to bite down into foods. Your speech can be affected by gaps in teeth. Essential for pronouncing some words, our tongue moves and presses on our teeth to make certain shapes. With lost teeth, you may make whistling sounds or find that you spit more while you speak. 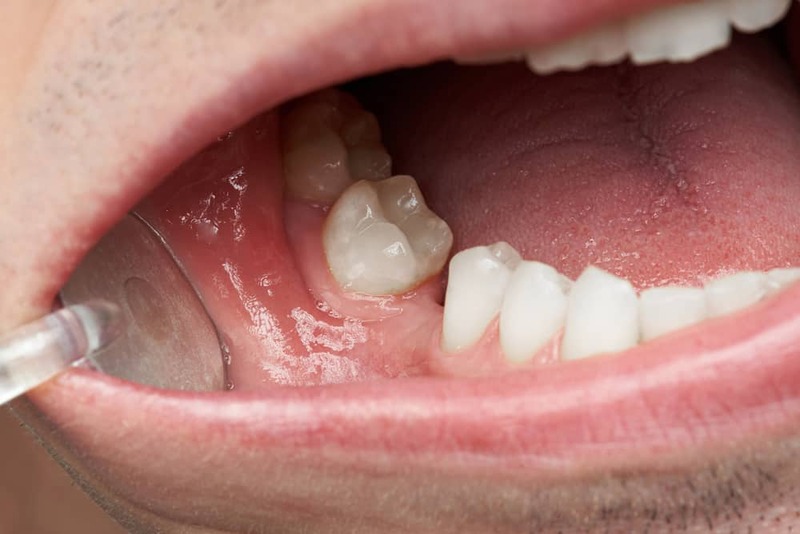 Gaps from missing teeth can cause adjacent teeth to move or drift into the space. If teeth move out of their normal position, they may become harder to clean and they become more likely to develop gum disease due to tooth decay. Your teeth and gums make up the natural support and structure of your face. Even missing a few of your teeth can dramatically impact your appearance as your jaw changes shape. While bridges and dentures do provide temporary solutions for missing teeth, they generally require a high level of maintenance. Dentures need frequent removal and cleaning while bridges put excessive stress on the adjacent surrounding teeth. Both dentures and bridges only last a few years before requiring a replacement. Dentists generally recommend dental implants as the ideal solution for tooth replacement. Lasting far longer than other restorative treatments, good quality dental implants are more convenient and more cost effective than dentures or bridges in the long run. Dental implants are created custom to match your existing teeth and are completely resistant to tooth decay. Don’t put yourself at risk with missing teeth. At Pitt St Dental Centre, our dentists provide high quality dental implants and tooth replacement procedures. Centred on restoring full function to your mouth, our dental implants stimulate healthy bone growth and offer a long-lasting solution to tooth loss. Learn more about dental implants with Pitt St Dental Centre. Contact us on (02) 9223 4767.